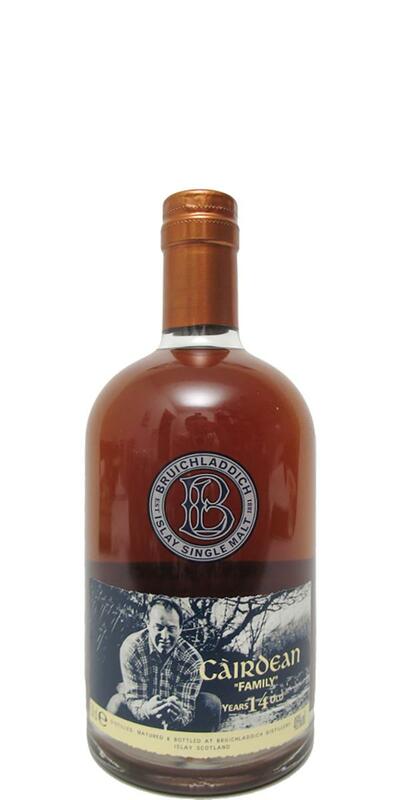 This is a vintage valinch from the Bruichladdich distillery. 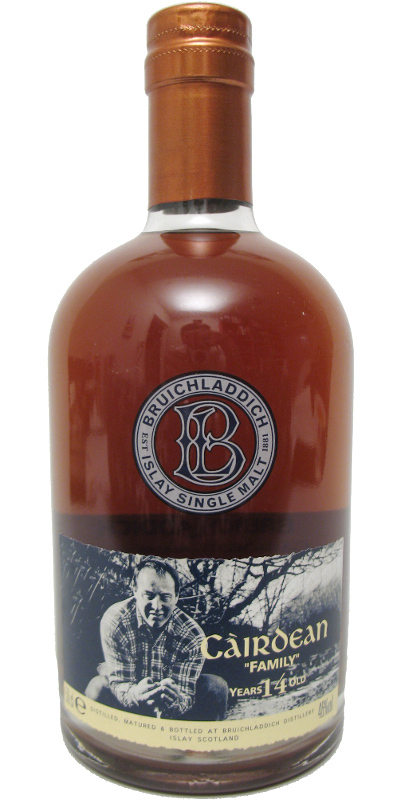 Expertly crafted by Jim McEwan and with a beautiful colour, this was a great dram. It could have been a bit more complex, being closer to 50% or cask strength would have made this an unstoppable whisky. Now that he has retired, I miss Jim's craftsmanship with whisky - this is quite a memorable dram! Pure sherry and dark chocolate sweetness with strong hints of caramel. Very oily and gentle being 46%. Instant hit of sherry and dark chocolate from the nose with chocolate notes only becoming stronger towards the finish. Dried fruits emerge, with chocolate still present in the background (not as dark, but much more milk). A dash of malt cereal notes appear, but fade alongside the chocolate notes. Optically perfect. A wonderfully rich, deep golden tone, which one would expect rather with strong caramel addition. Here, on the other hand, all nature. When pouring, despite the drinking strength, a series of large bubbles form on the edge of the glass. Strung like a string. The nose opens with fruity aromas. Sweet orange dominates without becoming really intense. Then a fine alcohol note, I'm almost a little surprised to see them after the reduction in the nose. Also on the tongue you immediately notice the alcoholic power of the malts. I would have typed blind in a single tasting rather on 50% -52% ABV. Not quite as velvety as you are used to from distillates mostly. The taste of the orange association remains for me. Now a little sweeter. Almost a kind of nectar could be said, but would be a little high. Again, the fruity, flattering sweetness of the nose, complemented by a taste like freshly baked bread. One is not sure where the taste ends and where the finish begins. A consistently beautiful line! There are clearly less accessible specimens among old Valinches. The alcoholic heat remains. The fruity basic notes turn into a dry mineral-chalky, oaky spice, which lasts for a long time, even if the malt itself has already volatilized long ago. Consistent overall package without real weaknesses in the sense of false notes. Maybe he could possibly be a touch more complex, if you want to complain at all. means family, or more loosely "friends"."